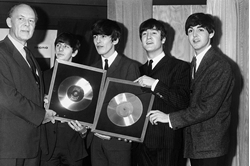 55 Years Ago: The Beatles Form Northern Songs, the Publishing Deal They Would Regret . Beatles Radio: The Beatles, Solos, Covers, Birthdays, News The Fab 4 and More! "We just signed this thing, not really knowing what it was at all about [and] that we were signing our rights away for our songs," McCartney recalled in Many Years From Now. "John and I didn't know you could own songs. We thought they just existed in the air.